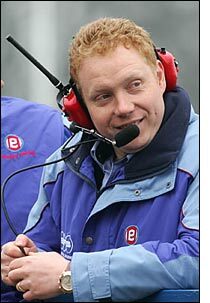 Embassy Racing’s Jonathan France has formally confirmed in a statement today that the team will not be running in the British GT Championship in 2006. But there is a strong indication that the team will return in 2007. The team’s Porsche 911 GT3-RSR has now been sold, and with no chance of running an Ascari in the British Championship, the only alternative is a year off. 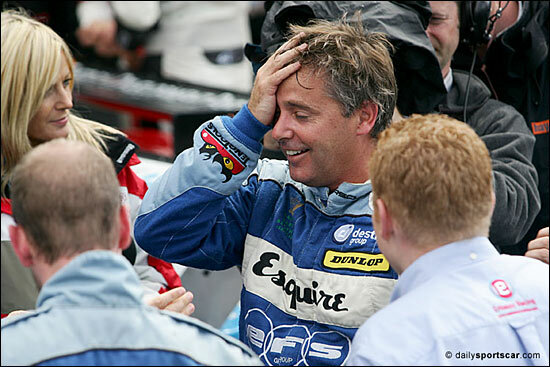 It won’t just be the team that’s missing in 2006: Jonathan France made a considerable, additional commitment to the Championship during 2004 and 2005 – the Embassy girls and Embassy Race Radio, for example. Let’s hope he is back in 2007: the scene will be poorer without him. We'll leave you with the scene immediately after the team's classic victory at Silverstone last August.